A fairly extraordinary result with a 50/1 shock winner in the big race on the first day of the Ebor Festival. Overnight rain had made the ground dead and that undoubtedly contributed to Arabian Queen’s victory. She did however have something in common with almost every leading performer on Tuesday in that she was never too far from the pace. The only ‘hold-up’ runner to do well came in the 5th race where Tony Martin’s Heartbreak City broke the day’s rules. It makes me wonder just how ‘well-in’ that Irish raider was and it would be no surprise to see him win again off a much higher mark. With more rain forecast overnight we could be in for more of the same tomorrow and the ground may well soften up a bit more. In expectation of similar conditions here are my brief thoughts for Thursday’s card. I think Easton Angel was unfortunate to come up against an equine freak in Acapulco at Royal Ascot but still gave her some stern competition there. Hardly anything went right for her next time up at Newmarket where Paul Mulrennan made all the wrong choices as to which route to take – being carried across the track in the process. Besharah reversed Ascot form with her there but I think she can make the score 2-1 in her favour here. The ease in the ground should not be an issue – she has won on the soft already. She seemed to get the 6 furlongs well enough at Newmarket so this easier course should be fine – so hopefully she can be kept fairly handy. Both Besharah and Easton Angel have been priced as if they have another monster to deal with in Lumiere here. Mark Johnston’s filly won a fairly ordinary Newmarket maiden with any amount in hand and her price is based on a huge home reputation. She has yet to prove herself at this level though and the ground is another unknown. She could prove up to the hype and win but based on what she has done on the racecourse she must be a ludicrously short priced favourite at around 6/4. Ashadihan is a nice type and shouldn’t mind the ground but I can’t help but think she may get outpaced by the main contenders at this level and is crying out for 7 furlongs. 3.05 David O’Meara is invariably one to keep on side of in these big handicaps but he doesn’t help matters by sending 8 runners here! Stable jockey Danny Tudhope plumps for He’s No Saint but as that one has no form on slower ground, I wonder if the choice was made when it looked like quicker ground would prevail. 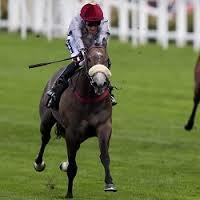 The stable’s number 2 jockey, Sam James, is on Russian Realm and that’s the one I’m sticking with at a big price. A son of a 1,000 Guineas winner, this one has taken some time to find his form with his new stable. He finally got a win on the board as soon as he got some softer ground last time and with similar conditions likely again I give him a big chance here. I can understand some early money for You’re Fired who has decent course form and will be glad to steer away from quick ground also. However his hold-up style is a bit of a concern given how races panned out on Wednesday. 3.40 The Yorkshire Oaks is the days big race but I will most likely be swerving the race with many of the main contenders not really proven on softer surfaces. I may look again tomorrow here and update if necessary then. 4.20 A tricky race for fillies – many of whom are likely to be still improving. 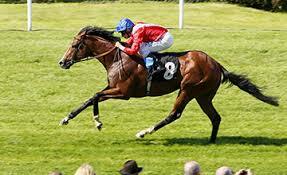 The most interesting contender for me is John Gosden’s Bright Approach. She was never going to cut much ice over an inadequate trip in a Group 1 race last time. Now she’s back on a slow surface – the first time since her maiden win as a 3yo –and over her proper trip, II wouldn’t be surprised to see why connections kept her in training at 4.